Twirly, Girly Apron Pattern for Kids from Cabbage Rose. 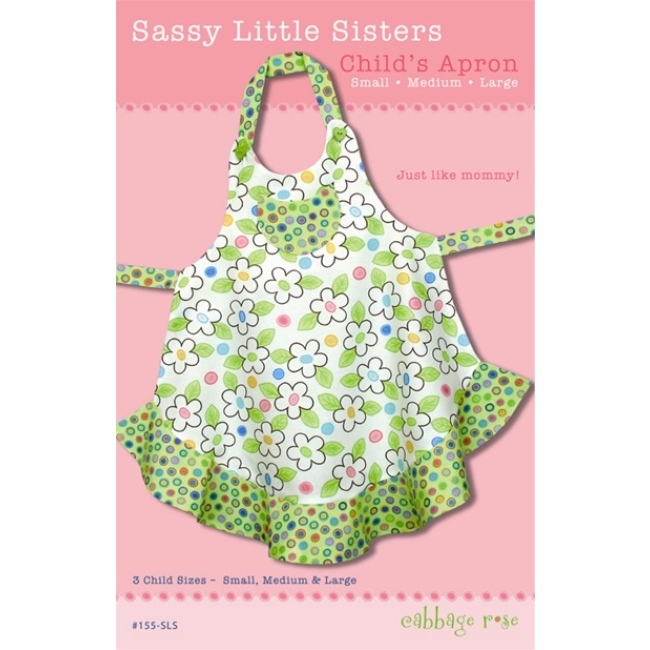 The Sassy Little Sisters Apron Pattern from Cabbage Rose is the child's version of the popular Sassy Little Apron pattern. It's a twirly, girly apron pattern for kids! This quick & easy to sew apron wraps around the waist and ties in the back. Easy to custom fit with a button-on neck strap. Apron pattern includes 3 child sizes: Small (2-4), Medium (5-6), and Large (7-10). Diagrams and complete instructions included. Designed by Barbara Brandeburg. Includes full size pattern pieces.